June | 2014 | Careerschap | The musings of a careers professional in the higher education sector. Yesterday I attended the first AGCAS (Association of Graduate Careers Advisory Services) HE Careers Professionals Midlands Showcase at Stamford Court, University of Leicester. 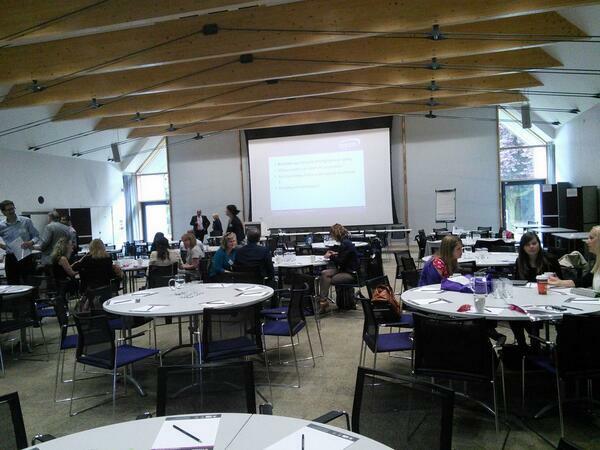 The title of the day was called Reinvention, Innovation and Transformation in the Midlands. The format of the day was various keynote speakers such as Eluned Jones, Director of Student Employability, University of Birmingham and AGCAS President Elect and the renowned John Lees, Career strategist and author, Council Member and Career Development Institute member. There were also several university career service led workshops around sharing practice (we had our own session created and delivered by my colleague Tom Staunton which he blogged about here) as well as the opportunity to network to see what other university careers teams were getting up to. It was an enlightening day but I wanted to share with you some of the tweets from the first keynote speaker Eluned Jones. Her talk focussed on the rise of the employability agenda within HE and its inescapable link with student recruitment, which has placed university careers services under the spotlight like never before. I created a storify board which I hope gathered some of the main themes as well as my own extended thoughts on each tweet to try and give a broader picture. Highlights we are in a fiercely competitive marketplace and graduates rightly expect a return on their investment as a direct result of HE study. A point made by Eluned on the limitations of DLHE. Just a 6 month snapshot and institutions and academics rightly argue that the benefits of HE are very much longitudinal. Just highlights that the careers and employability agenda is now more prominent than ever before within HE (which is good, it’s nice to be wanted and noticed) but that this can present issues on matching guidance with outcomes and focusing delivery on the quick wins. Relates to competition. If all universities offer CEIAG what makes ours better than the one down the road. Bring this to a business perspective. What is our USP and how do we add further value above and beyond the norm. Careers services can no longer work in isolation. Actually, the terminology is very much how you would want an SME to perform. I completed a rather rushed (needs must at the time) workshop aimed towards how students should market themselves to potential employers. I decided to tie this into a well established concept called the marketing mix. It’s something I’m hoping to use more with business students as a concept they can easily relate to and hopefully remember. 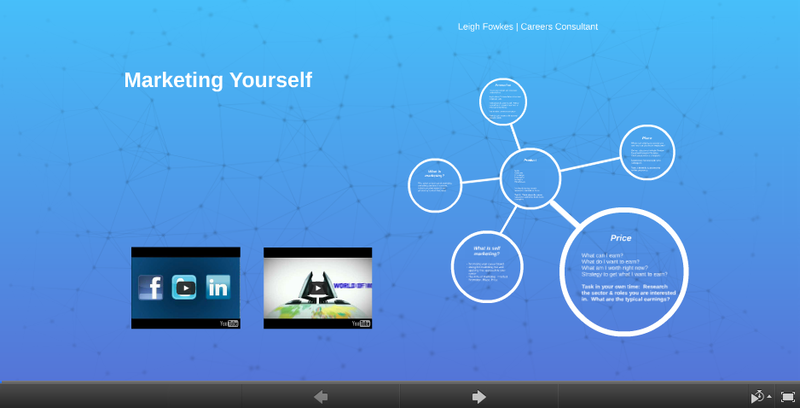 The Prezi I developed for this is here, if you want to take a look. Thanks to Leo Woodhead who writes regular pieces in his blog I also got invited to pitch and write an article for the National Careers Service mobile app which explains how the marketing mix can be applied in a job search context. The link for this is here or just download the app on the android platform which has lots of other useful articles.